So there isn’t a ‘ground units bible’ that anyone knows of? By that I mean a player-made encyclopaedia that would state all the critical performance stats and behaviours of each of them. Engagement ranges, reload times, behaviour under fire and so on. I’m surprised if there isn’t - I would have thought someone would have taken up the task by now. How dumb is a rock? I’m sorry, this thread title, I just cant stop it! Yes the range on them is larger than you would first guess perhaps. I had a target within the ring, they aimed but never shot. So I took control myself and manually took the shot and watched the rocket overshoot my target by well over a mile. The rockets minimum range is larger than standard artillery’s max range. Moving the units further from my target, they then aimed for a few minutes and finally started firing. they then aimed for a few minutes and finally started firing. 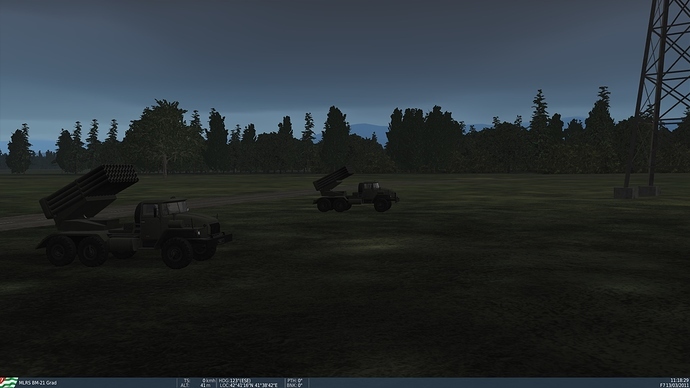 Hmmmm…perhaps I didn’t give the MRLs enough time…but they were just sitting there…I might have been trying to shoot inside their minimum range. Perhaps I didn’t let the gun arty time to aim since the target was near max range…that brings up another question, do we think the impact radius has anything to do with the to start firing? Example: An arty piece set to fire at 3/4 max range. If I set a large impact radius–500 m–will it fire faster because it doesn’t have to be all that accurate. If I set a 50 m impact radius it will take longer? I’ll try some of that today. I didn’t notice any change based on radius, but I wasn’t counting. An aiming time of even 5 minutes would be too much. 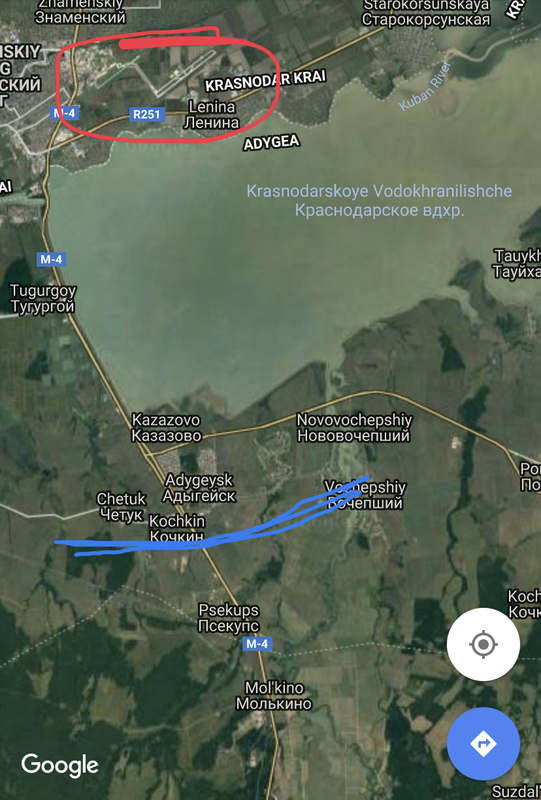 To target Krasnodar-Paschkovsky Airfield (Red circle) the Smerch MLRS units had to be south of the blue line. 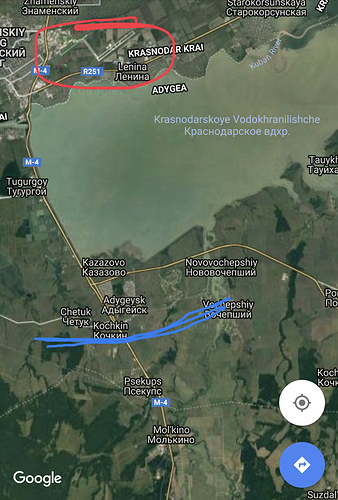 Regular artillery guns were north, and to hit targets beyond the airfield had to be close to the lake. I find the rockets shoot very well. The target must be between the min and max rings. Once they shoot, they will take forever and a day to reload. Assign a target and give them the command to Fire, and in about 5 mins they will. 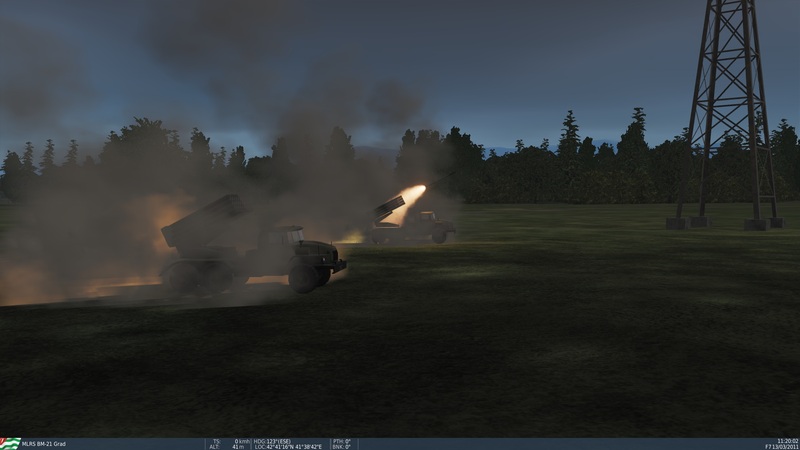 Indirect fire works alright on my end. The target must be between the min and max rings. …and thanks @near_blind for the mission! It was a truly Noob error. The MRLs have such a big Max range, I hadn’t zoomed out far enough. I was placing the MRLs too close - the target inside of the Min range circle. I moved them back out and, success! A very cool firers display…quite devastating on the receiving end. Yeah I’d probably rather not be on the receiving end of those things. …or any other artillery to be honest. I’ve seen PzH 2000 fire in real life and was told about the capabilities. Scary stuff. Firing a volley that will almost simultaneously hit everything in a 200m circle 30+ kilometers away… yeah, someone is having a bad day there. Kicking this one back up: is it possible to have mission based kneeboards per side? I don’t think so. A mission can contain Kneeboards but they are not assigned to a side … so both would see them if it was a multiplayer Red vs Blue mission. Thanks, figured the restrictions were all or by airframe. Was hoping to have a per-side kneeboard for frequency reference but I’ll have to leave that in the briefing.